WASHINGTON—Delivering his weekly address to members of the press Tuesday, acting U.S. 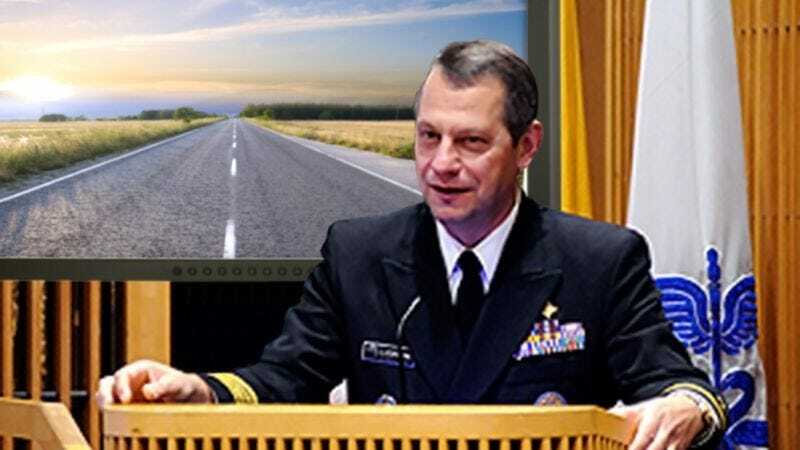 Surgeon General Boris Lushniak advised all Americans to be 19 years old with $100 in their wallets and the rest of their lives still ahead of them. Lushniak, the nation’s leading public health official, strenuously urged all American adults, regardless of age, race, or income, to be young and in the prime of their life. In addition to having a strong, youthful body and a boundless spirit of spontaneity, the surgeon general stressed that being 19 was exactly what U.S. citizens needed to feel free—truly free—from their responsibilities and to instill in them the confidence that they could do anything they wanted in this world. Though Lushniak stated that being 19 involves a certain level of risk, noting that such individuals were highly susceptible to stupid, reckless decisions, he assured reporters that such mistakes didn’t have serious consequences because you’re only 19 and damned if it doesn’t feel like you’re going to live forever. Moreover, Lushniak emphasized that the potential benefits of getting into a little trouble here and there, from joyriding with some buddies to jumping the state park fence and skinny-dipping after dark, far outweighed any potential negative side effects. Furthermore, Lushniak stressed that, if possible, Americans should be at an age where they could put their whole paycheck toward an old motorcycle, one they could fix up and take out on the open road whenever they wanted, day or night. According to Lushniak, taking your bike and making your way across the country with no other plan than to have a good time wherever you could find it was associated with overwhelmingly positive outcomes among all subjects. In addition, Lushniak recommended scoring a fake ID; chasing some tail; feeling the breeze on your face and the sun on your bare shoulders; bonfires; laughing with your friends at 3 a.m. until it hurt; and getting that tattoo you want, because who’s going to tell you no? After pausing several seconds, Lushniak added that for many citizens, however, being 19 was no longer a viable possibility, before sighing, noting with visible dismay that some Americans were stuck being 54, and solemnly stepping away from the lectern.